TURLOCK, CA. – The Tacoma Stars (11-12) finished their regular season schedule on the road in Turlock against the Express (3-21) needing to win to stay alive in the playoff hunt. They did just that using hat-tricks by Nick Perera and Vince McCuskey en route to a convincing 14-4 victory. The Stars jumped on the Express from the beginning racking up 11 unanswered goals including four in the first quarter. Perera got things going for the Stars with an assist by Mike Ramos with 11:07 to play in the opening frame. The same pair teamed up again on the next Stars goal with Ramos getting the goal just over two minutes later for the 2-0 lead. McCluskey took a Dan Antoniuk pass and turned it into his first goal of the evening and a 3-0 lead with 2:58 remaining in the first. Joseph Cairel finished first quarter scoring with a Ramos assist and Tacoma was up 4-0 after 15 minutes of play. Tacoma would better their first quarter goal total by one starting with McCluskey’s second goal of the night, this time assisted by Stars keeper Danny Waltman for the 5-0 advantage. Just over a minute later it was Cairel’s turn to score his second of the game on Ramos’s third assist of the half and with 11:01 to go in the first half Tacoma went up 6-0. Pablo Da Silva found Perera for the Stars next marker with 9:39 showing on the clock. McCluskey shot a pass to Chase Hanson who launched it in the net for an 8-0 Stars lead but Tacoma would get one more before halftime. Perera notched the hat-trick on the first of two Lamar Neagle assists to give the Stars a 9-0 lead after two quarters. Picking up where they left off in the third quarter, Tacoma opened scoring with goals by McCluskey and Perera less than a minute apart and with 11:01 to play in the third the Stars led 11-0. Turlock finally found their way on to the scoreboard 26 seconds later when Douglas Lima took advantage of a shoot-out opportunity following a Cory Keitz blue card. Lima scored again with 8:37 to go to cut the Stars lead to 11-2. The final goal of the third quarter was Turlock’s when Lima found Joaquin Raya for the score and heading into the final 15 minutes the Stars held a 11-3 lead. Lamar Neagle, who had three assists in the game, scored his first goal of the season on a Waltman assist with 12:52 left to play. 19 seconds later McCluskey finished off his hat-trick assisted by Troy Peterson putting the Stars back in front by 10 goals at 13-3. Express veteran Arturo Pulido launched Turlock’s final goal of the season with 9:57 showing on the clock. With 1:39 left Antoniuk wrapped up scoring assisted by Neagle to reach the 14-4 final score. With the win Tacoma sweeps the Express five games to none in the season series. The Stars now need an assist from the Monterrey Flash to advance to the playoffs. Monterrey heads to Ontario to take on the Fury this Sunday. 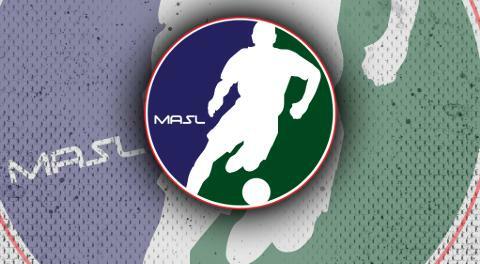 If the Flash defeats Ontario, Tacoma will clinch the second MASL Pacific Division playoff spot and face the San Diego Sockers on Friday April 19 at the accesso ShoWare Center. 1st Qtr - TAC Perera (Ramos) 3:53; TAC Ramos (Perera) 5:55; TAC McCluskey (Antoniuk); TAC Cairel (Ramos); Penalties - none. 2nd Qtr - TAC McCluskey (Waltman) 2:56; TAC Cairel (Ramos) 3:59; TAC Perera (Da Silva) 5:21 TAC Hanson (McCluskey) 9:39; TAC Perera (Neagle) 11:46; Penalties - none. 3rd Qtr - TAC Antoniuk (Gjertsen) 2:22; TAC Perera (Neagle) 3:20; TUR Lima 3:46 shoot-out; TUR Lima 6:23; TUR Raya (Lima) 12:24; Penalties - TAC Keitz blue card (deny goal scoring chance) 3:46. 4th Qtr - TAC Neagle (Waltman) 2:08; TAC McCluskey (Peterson) 2:27; TUR Pulido 5:03; TAC Antoniuk (Neagle) 13:21; Penalties - TAC Peterson blue card (deny goal scoring chance) 6:09.